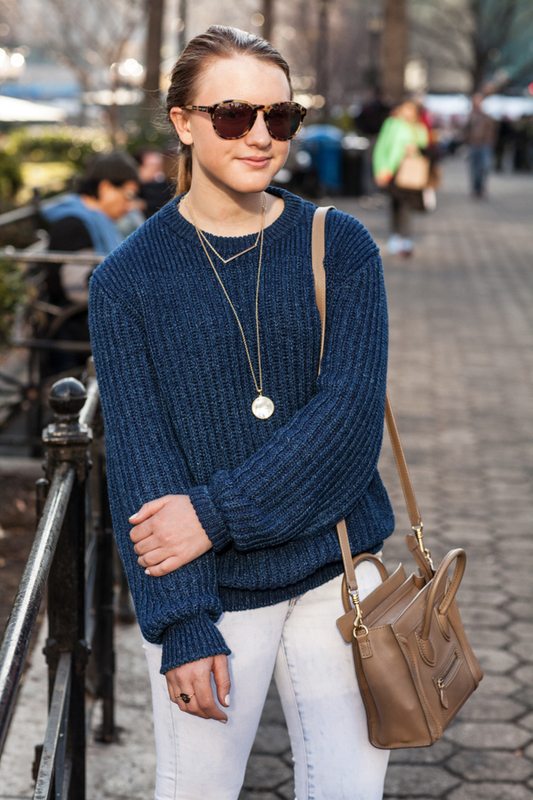 Whoever said that you can't wear summer pieces in the middle of winter was very very wrong. I purchased these rag & bone jeans this previous summer on super sale at Intermix. They are a little bit edgier than basic white because of the bleached fabric and zippers at the ankles- which are perfect for showing off killer heels. Of course I am wearing head-to-toe blue again. 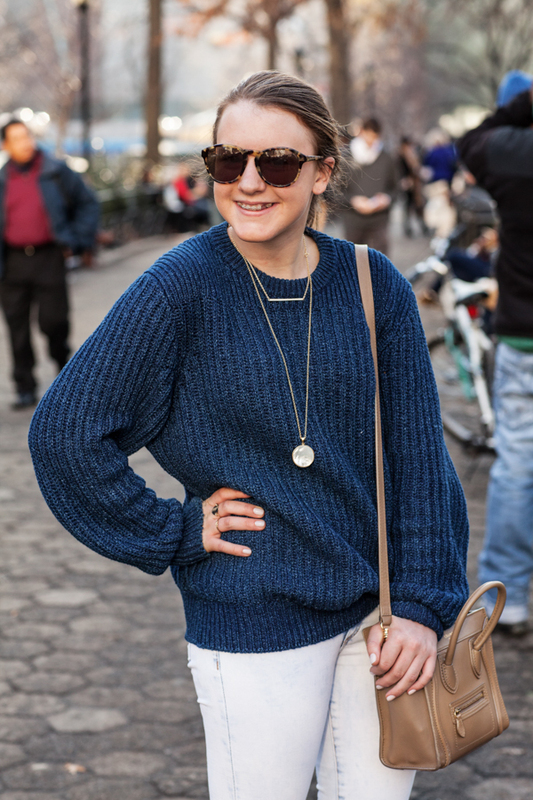 A chunky sweater is one stop layering and ideal on Winter days. My rule on knits- the thicker, the better especially during polar vortexes. 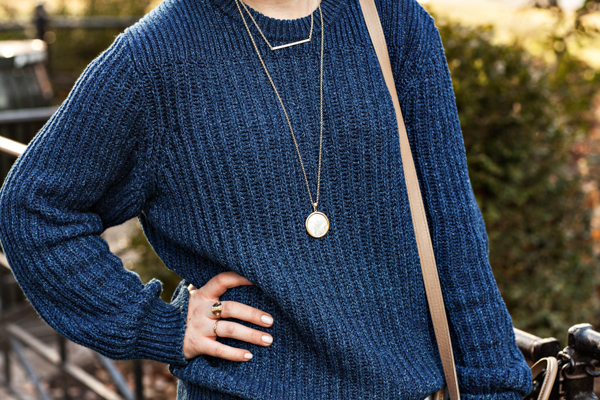 I love this outfit and I'm obsessed with the sweater! Great job! I love wearing men's sweaters! They're so comfy and have such a great look to them when styled by us ladies. Love it! I love the sweater. 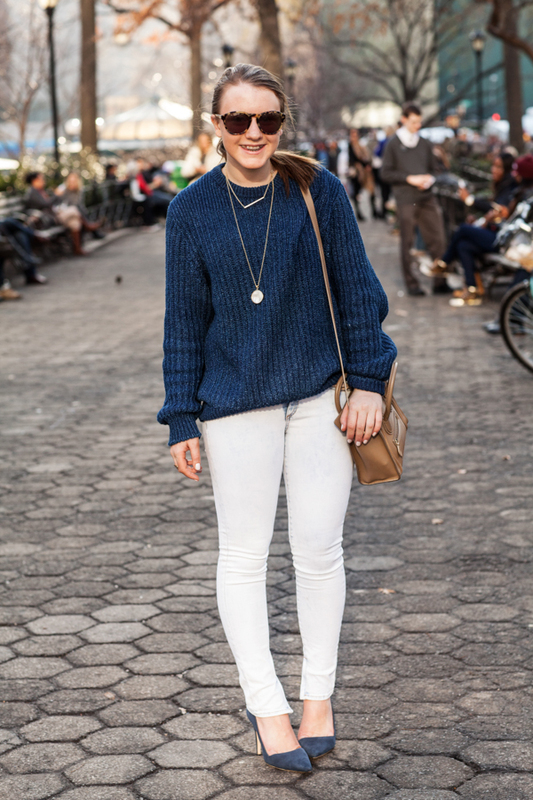 It's the perfect winter blue. Those jeans are awesome too, and those are definitely some killer heels!